Stewardship — to serve as one who manages another's property, finances or other affairs — is not just means for the church to raise money. It is a way of life that recognizes that everything we have is God's, and we are simply managing those resources while here on earth. 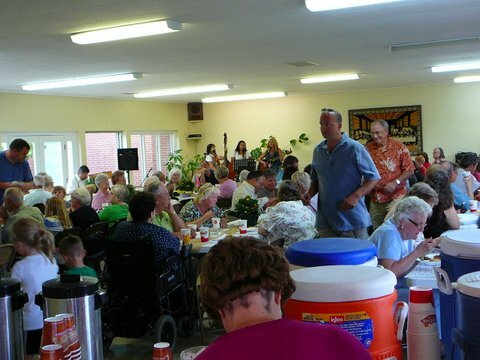 Good Samaritan BBQ in August, 2012. 618 served! 100 pork patties, 27 pork loins, 150 pounds of potatoes, 50 pounds of onions, and 24 gallons of green beans went into the Good Samaritan BBQ. Today, we United Methodists join others to help all of God's children — whenever and wherever we can, just as Jesus multiplied the loaves and fishes when the crowd grew hungry. Through our congregation, we are the heart, spirit and hands of God's outreaching love. Life grows here through the joy of generosity. Pray about your regular giving to God's ministry and mission through our Paoli United Methodist Church. 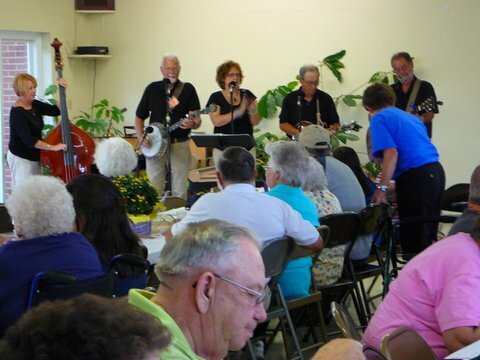 Remember Paoli UMC in your will or estate plan through the Endowment Fund. 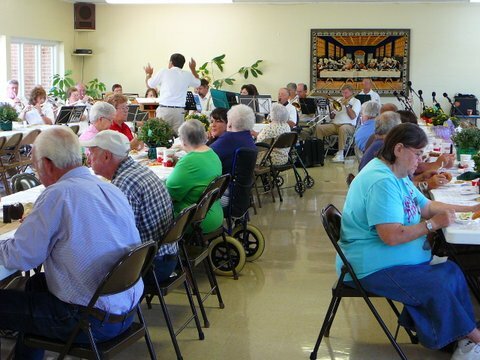 Crawford County Band and Tim Key's Group entertaining. 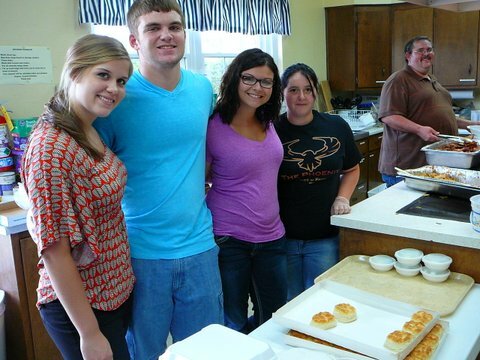 13 of the youth group helped serve at the Good Samaritan BBQ. 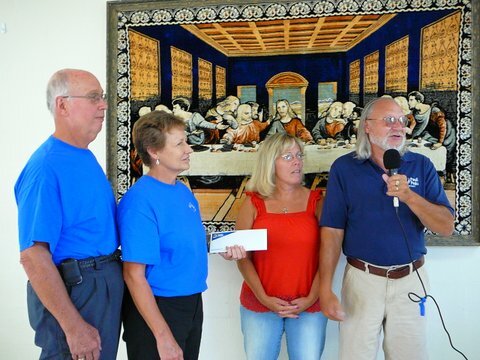 Skip and Martha Lambdin accept a donation from the motorcycle ride organized by Bob and Anita Seybold of Paoli Peaks.